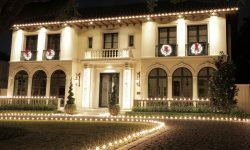 In part 1 of our Christmas Electric 101 series, we reviewed how to calculate how many watts and amps your Christmas lights and decorations are using. Knowing this helps you keep your lighting and decor safely lit without overloading any circuits or cords. If you've spent much time installing Christmas lights, then you've probably experienced the frustration of tripped breakers. In this blog we're going to show you how to easily measure how many amps each of your electrical cords are pulling. By knowing this, you'll be able to keep your electrical loads well under the maximum rating. 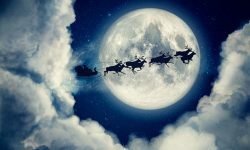 Back in Part 1 of this multi series Christmas electrical blog, we reviewed calculations for watts and amps, however, these were done with the assumtion that you already knew the wattage or amperage of the lights or decorations. Unfortunately this is often not the case and you'll need to have an easy way to measure the electric load. 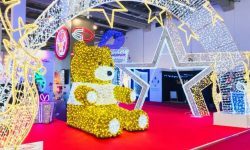 In the second part of this series, we'll be explaining how to measure the amount of electricity your lights and decorations are using. In order to measure electric load, you'll need a clamp meter. These can be picked up at just about any hardware store. Clamp meters are designed to read how many amps are going through a circuit. Generally they are used directly at a breaker panel, but this only allows you to measure how many amps are on an entire circuit. 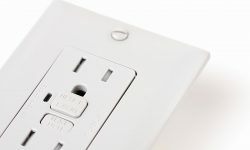 Since there can be multiple outlets on one circuit, this can make it difficult to figure out how much only one outlet or one power cord is pulling. In order to use a clamp meter directly at the outlet, you'll need a line splitter. These can be purchased from an electrical supply store, but we generally recommend taking a few minutes and simply make your own. You'll find that the homemade ones hold up better and cost less than the store bought versions. For an overview of how to make your own, take a look at our blog, Making a Line Spliter. To measure electrical load, it's as simple as plugging your line splitter into an outlet, plugging the line that you want to test into the end of the splitter and clamping the meter onto either the black or white cord. See the picture above. Once you have your cord plugged in, select A or Amps on the dial of the clamp meter. 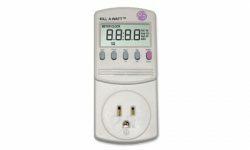 Most meters have multiple settings for amperage, depending on how heavy of a load you're testing. Typically you'll be using either the 20A setting, which is for loads up to 20 amps, or the 2A, which is for loads up to 2 amps. The smaller the number you use, the more exact the measurement will be. By following the steps above, you'll be able to know exactly how many amps your Christmas lights or decorations are pulling. This will help you avoid tripping breakers and overheating electrical cords. In the next part of this series, we'll be looking at how much load various types of cords can hold. 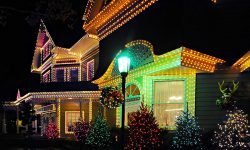 We'll also cover how to avoid overloading the breakers that you have your Christmas lights and decorations plugged into.